I started blogging almost three weeks ago, with the simple intention of documenting my memories. I never in a million years thought I would get so much love and support from everyone! Thank you to everybody who has read, liked, commented on, and shared my posts. The fact that people read my thoughts, relate to them and appreciate them blows my mind! I specially want to say a huge thank you to T. Shaw for finding my blog worthy of the Liebster Award!! I never knew awards existed in the blogging community, thank you T. Shaw for nominating me and introducing me to a whole new world! 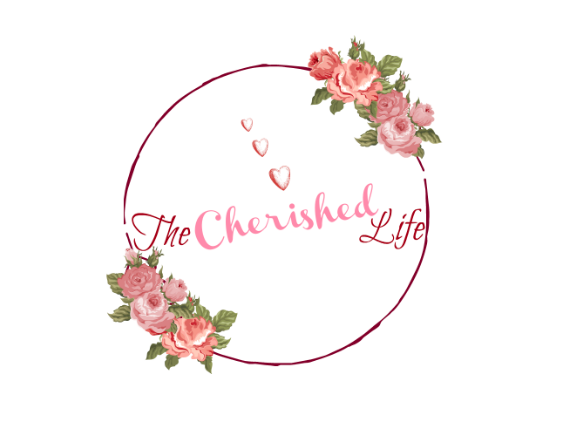 T. Shaw is a fellow blogger and an exceptional writer who shares the most wonderful poems and insightful memories on her blog. She’s currently taking part in Blogmas, and has been posting everyday just like me! If you’re itching for a good read, go check her out! You won’t be sorry! It is essentially a tag, which allows new bloggers to get noticed and make relationships. For me, it’s an initiation into the blogging world. I feel like the blogging community has accepted me with open arms. Thank you once again T. Shaw for the recognition! I love to write! Plain and simple. To be honest the purpose of my blog was to create memories for my family and myself. I am a very forgetful person, I thought a blog would be a good way to document all the big and little moments of our lives. Having said that, in the past two weeks I realized that this blog serves a much greater purpose. It allows moms to build relationships with one another, relate to each other’s stories, and know that we are not alone in our battles and victories! This year was the most amazing year of my life for sure, as I spent it with my baby girl. The most memorable moments were watching her grow and reach her milestones. Just give me potato. Fries? I’ll take it! Mashed? Where’s the gravy? Wedges? Gimme! Scalloped? Sure! Baked? Where’s the cheese? In a salad? Yes, please! Hands down Mindy Kaling! I love her funny wit, and I can definitely relate with her ‘sometimes awkward’ nature. She knows what she wants, knows how to get it and does it while putting a smile on people’s faces! Love her! Can I start my maternity leave over again? Pretty please? Summer for sure! It used to be winter, but now I have to get an infant dressed in layers, a jacket, hat, mittens, and neck warmer every time we leave the house. So yeah, summer for sure now! Right now my passion is raging for this blog, and of course being Aria’s mommy! Hmmmm… I actually want to learn how to use Photoshop! So if anyone reading this knows how, help a girl out! I am the messiest person I know…sadly knowing this hasn’t changed that fact. Ali and I took Salsa dancing lessons before our wedding. We never used any of the steps for our wedding BUT it was the most fun we have had together! I am NOT a morning person. No, I’m not a night owl either! What is a person who likes to sleep in AND sleep early called? I don’t really like jewellery (Ali got lucky) Earrings annoy me. Bracelets annoy me. Rings annoy me. I DO wear a necklace, the same necklace, every day. It’s my good luck charm. That’s it ladies and gentlemen! That’s all about me! The following bloggers are all exceptional! Personally, I like to read blogs that I can relate to and connect with. The bloggers I have nominated have made me want to keep reading more and more, and I LOVE that! Check them out!! Is there anything that you’re working towards achieving in the New Year? Do you like to read? What is your favourite book? Congratulations nominees, if you choose to accept this award, I can’t wait to read your responses! Happy blogging!! Your blogs are an absolute treat to read!! Congratulations!! I Know how to use photoshop. I would suggest you take a course for photoshop if you can, you won’t regret it 😉 . Thank you for your nomination, I enjoyed reading your post and learning about the award. I will definitely be doing this as my post for tomorrow.